A special evening dedicated to the late American artist Tony Conrad (1940 – 2016) with Rhys Chatham and Charlemagne Palestine. Rhys Chatham and Oneida celebrate the release of their new album on Northern-Spy Records: What’s Your Sign? Legendary noise-drone pioneer Rhys Chatham is featured in a shared concert with inventive Washington D.C. alt/punk band Priests, in the fourth edition of The Broad’s groundbreaking music series. Rhys Chatham with Tim Dahl on electric bass and Kevin Shea on drums. Composer and multi-instrumentalist Rhys Chatham returns to ISSUE’s 22 Boerum theater for a rare solo performance on Thursday, November 3rd. Nuit 104 New York ! avec : Tyondai Braxton (solo / fondateur de Battles), Dälek (live), Rhys Chatham (avec percussionistes), Mark Cunningham (Mars) & Pierre Bastien, Lee Ranaldo & Leah Singer (installation, lectures, performances), Stefan Lakatos & Dominique Ponty jouent Moondog, Charlie Looker (Psalm Zero, Extra Life, Dirty Projectors), les DJ sets de Sal P (Liquid Liquid), WFMU / Brian Turner (DJ set et show radio), Rosa Vertov et Patrick Vidal, projections de Jacqueline Caux et Rosa Vertov. at 9 pm with Rhys Chatham, Carl Stone, Katherine Liberovskaya, Paul Clipson, Félicia Atkinson andThomas Maury. A journey into the post-punk instrumental. Rhys Chatham plays selections from the forthcoming Foom label release: Pythagorean Dream, featuring Rhys on el. guitar, flutes and trumpet and delay/looper setup. Two sets of solo and trio music from the No-Wave legend. Rhys Chatham with Tim Dahl on electric bass and Kevin Shea on drums. Rhys Chatham-Tim Dahl-Kevin Shea TrioA journey into the post-punk instrumental.A co-presentation with Ars Nova Workshop. Rhys Chatham plays selections from the forthcoming Foom label release: Pythagorean Dream, featuring Rhys on el. guitar, flutes and trumpet and delay/looper setup. Opening will be the Vernacular String Trio featuring Tracy Andreotti, Alex Cunningham, and Josh Weinstein. UFO Factory Detroit, United States Rhys Chatham plays selections from the forthcoming Foom label release: Pythagorean Dream, featuring Rhys on el. guitar, flutes and trumpet and delay/looper setup. Rhys Chatham solo program with el. guitar, flutes and trumpet through loopers. Opening will be Joshua Abrams’ Natural Information Society.Rhys Chatham plays selections from the forthcoming Foom label release: Pythagorean Dream, featuring Rhys on el. guitar, flutes and trumpet and delay/looper setup. Rhys plays flutes with the Arthur Russell Ensemble directed by Peter Gordon. Rhys Chatham plays the music of his upcoming record, Pythagorean Dreams, to be released this month by the UK label Zoom Records. 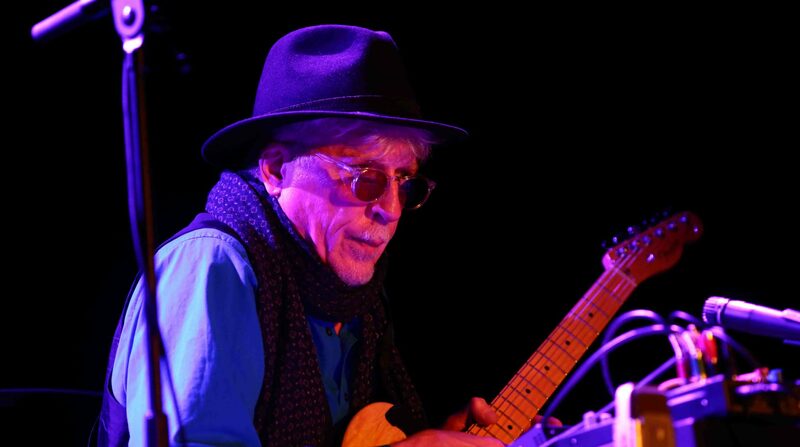 Rhys Chatham reunites with drummer Rune Kielsgaard and bassist Jeppe Skovbakke to play in trio formation at the TAPE venue in Aahus, Denmark. Rhys Chatham re-unites with drummer Rune Kielsgaard and bassist Jeppe Skovbakke at Jazzhouse, Copenhagen’s primary venue for contemporary jazz. Rhys will be on Trumpet, bass, alto and C flutes, and electric guitar.